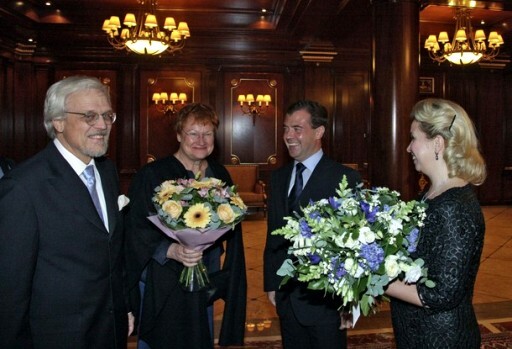 November 09, 2010 (KATAKAMI/ RIA NOVOSTI) — Finland supports the bilateral cancellation of visa requirements between Russia and the European Union, the country’s president Tarja Halonen said on Tuesday. Moscow has made visa-free travel between Russia and the EU a foreign policy priority. Russia submitted a draft agreement on scrapping the visa regime to the EU at the Russia-EU summit in the southern city of Rostov-on-Don on May 31. 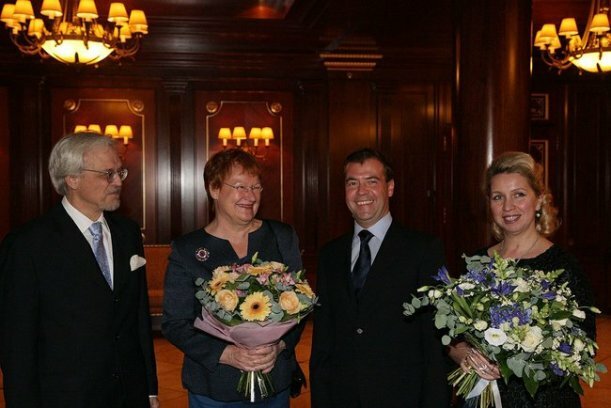 Russia's President Dmitry Medvedev (2nd R) and his wife Svetlana (R) welcome Finland's President Tarja Halonen (2nd L) and her spouse Pentti Arajarvi at the Gorki presidential residence outside Moscow November 8, 2010. MOSCOW, November 8 (KATAKAMI / Itar-Tass) — Russian President Dmitry Medvedev and Finnish President Tarja Halonen had an informal meeting in Moscow on Monday, November 8. 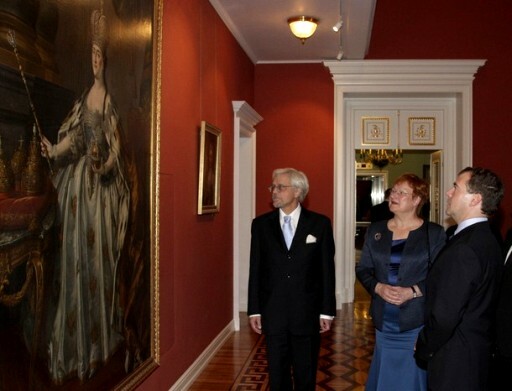 Halonen has arrived in Russia on a state visit. “The wife of the Russian president, Svetlana Medvedev, and the husband of the Finnish head of state, Pentti Arajarvi, participated in the conversation along with the presidents,” the press service said. On Tuesday, the presidents will continue negotiations in an official setting. They will meet in a narrow circle first and will be joined by members of their delegations later on. Medvedev and Halonen will speak about the results of the talks at a joint press conference. 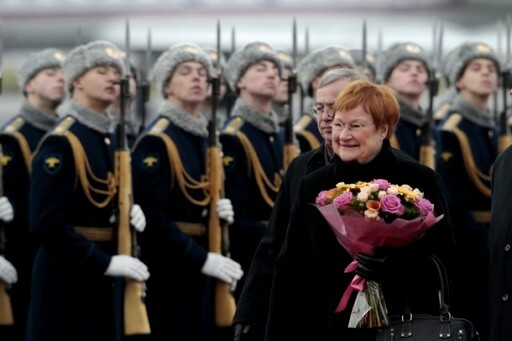 MOSCOW, October 25 (KATAKAMI / RIA Novosti) – Finnish President Tarja Halonen will pay an official visit to Russia on November 8-11 at the invitation of her Russian counterpart, Dmitry Medvedev, the Kremlin said. 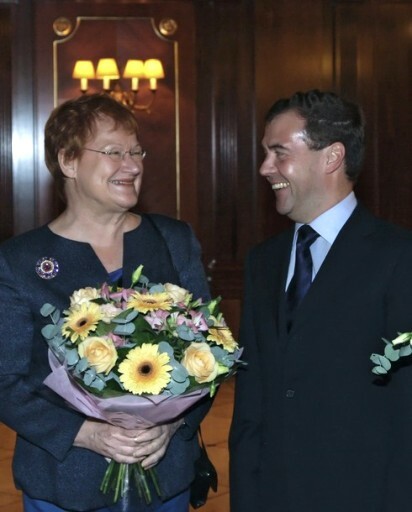 Talks between Medvedev and Halonen are scheduled for November 9.